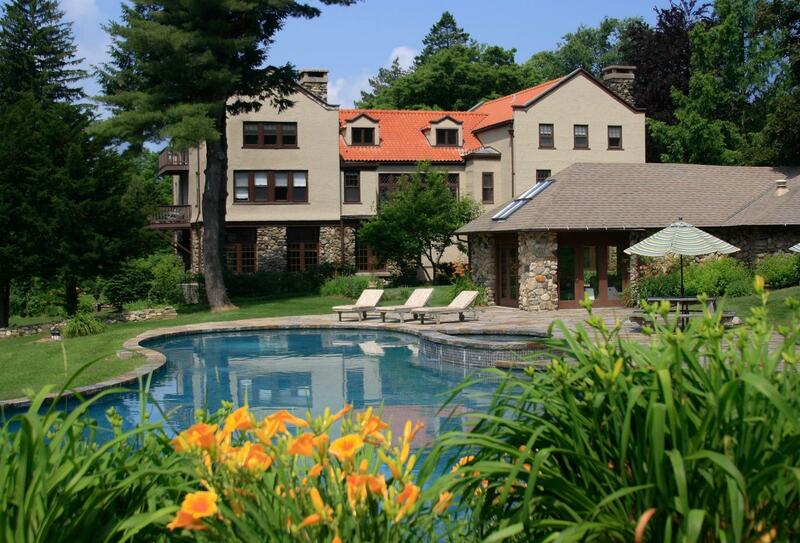 Rock Hall is a refined 10,000 square foot country-style manor house in the beautiful Litchfield Hills and Southern Berkshires of Colebrook, Connecticut. It features graceful gardens, orchards, walking trails and meadows; billiard and fitness rooms and a seasonal tennis court, swimming pool and Jacuzzi. 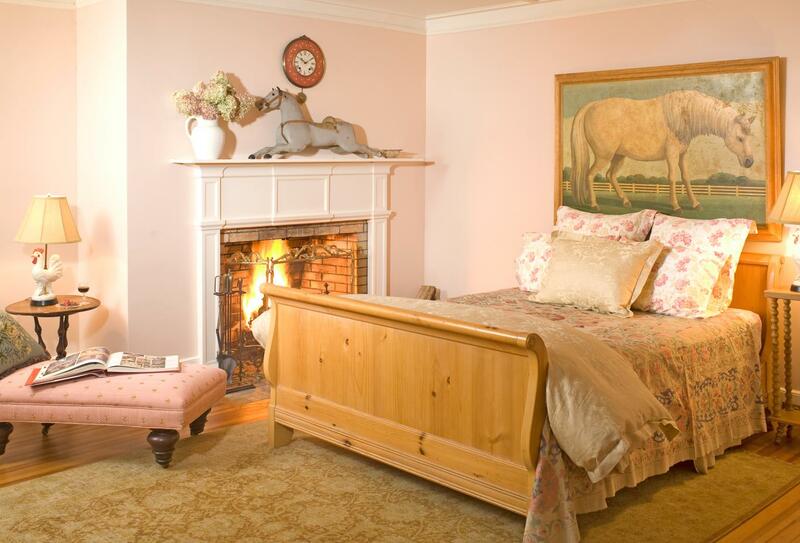 There are five distinctive, spacious, corner rooms each with serene views of the gardens, meadows, forest or swimming pool. Rock Hall was designed and built by Addison Mizner, known as “The Architect of Palm Beach” with his signature Spanish Mediterranean Revival style and is the only surviving Mizner residence north of the Mason Dixon Line. Rock Hall houses one of the largest private collections of specimen trees in New England, including several Connecticut prize winners. Glorious flower gardens dot the property and an apple orchard and fruit and vegetable gardens provide the bounty for breakfasts and snacks. Corner room with fine antiques including an antique Swedish pine sleigh bed, bureau and desk and an antique walnut upholstered chaise. Artisan breads, fresh fruits, Greek yogurt, freshly squeezed orange juice, organic honey and walnuts, local cheeses and organic handmade granola, house-made preserves, and coffee are all features of the Mediterranean-inspired farm to table breakfast served in the historic dining room. In the late afternoon enjoy complimentary cocktails and light bites. "Al fresco," picnic baskets and fruit & cheese plates can be arranged with advance notice. Rock Hall is in Colebrook, Connecticut, 120 miles from New York City & Boston, 30 miles from Lenox, MA & Hartford, CT and 3 miles from Norfolk, CT. The closest major airport to Colebrook is Bradley International Airport 31 miles away in Hartford, Connecticut.